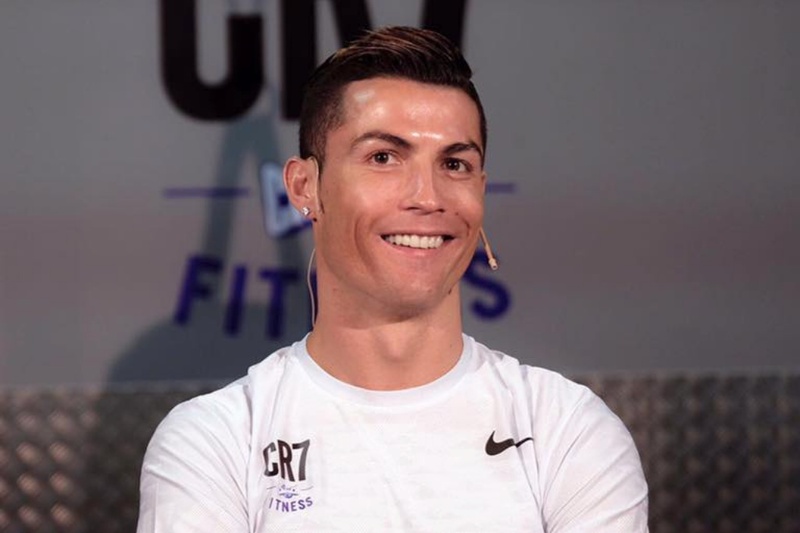 Cristiano Ronaldo is a Portuguese professional footballer. He plays for Spanish club Real Madrid and the Portugal national team as a forward.He is the first player in history to win four European Golden Shoes. He has received four FIFA Ballon d'Or awards and 24 trophies in his career, including five league titles, four UEFA Champions League titles and one UEFA European Championship. He has scored more than 600 senior career goals for club and country. Cristiano Ronaldo was born on 5 February 1985 in Funchal, Madeira, Portugal to Maria Dolores dos Santos Aveiro and José Dinis Aveiro. His Mother was a cooker and his father was a municipal gardener. He has one older brother named Hugo Aveiro, and two older sisters named Katia Aveiro and Elma Aveiro. He studied at Escola Básica e Secundária Gonçalves Zarco. He played for the team Andorinha (1992-1995) as a child. Cristiano Ronaldo signed with local club Nacional in 1995 and signed with Sporting Portugal in 2001. On 2003, He joined in Portugal national football team. He became the only player ever to play for Sporting's under-16, under-17, under-18, B-team, and the first team, all within one season. In 2003, he is transferred in Manchester United for over € 12 million. He is first-ever Portuguese player in the English Club. He scored his first goal for Manchester United on 1 November 2003 with a free kick in a 3–0 win over Portsmouth. Manchester United accepted an offer of £80 million from Real Madrid for Ronaldo. He joined to Real Madrid on 1 July 2009 from Manchester United. In Real Madrid, he was first played in 21 July 2009.